Distilleries in Missoula are serving up fine spirits and signature cocktails. Vodka, gin and whiskey are now being made right here in Missoula. If you get a chance to visit a distillery, make sure to call ahead and ask if tours are available. Sampling is great fun. Doing it safely is imperative. Missoula's first distillery opened its doors to sippers and swillers in 2012. Offering signature cocktails made with the distillery's Quicksilver Vodka and Whyte Laydie Gin, Montgomery also makes its own syrups and limited-edition spirits. Open 12pm - 8pm Monday through Saturday and 12pm-6pm on Sunday. The Indian Summer Cocktail: Made with vodka, strawberries, lime juice, jalapeno, agave and basil. THe Montana Distillery are the makers of Flathead Vodka, Cherry Vodka and Flathead Coffee. Cucumber Moscow Mule: The Cucumber Moscow Mule is a new spin on an old favorite. 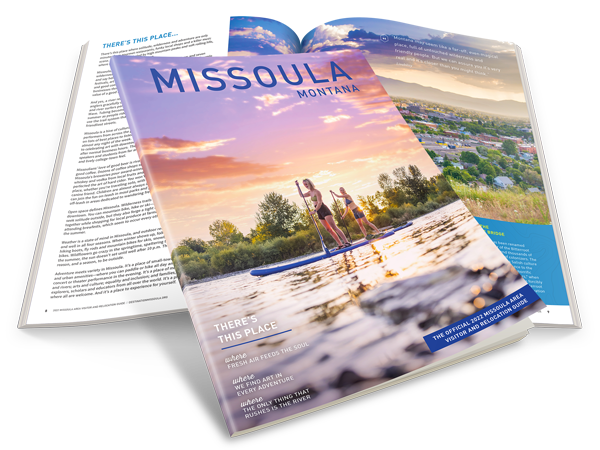 "Missoula is the home to several generations of Hogan’s and is truly a magical fit for Rattlesnake Creek Distillers. The Rattlesnake valley was our childhood home and countless hours were spent fishing the little creek that feeds into the Clark Fork River." Stop by Rattlesnake Creek Distillers tap room to sample artisan spritis, such as their light whiskey, Hogan's Hooch. Ginger Snap Whiskey: The family's twist on an old favorite, "Mama Ginger".